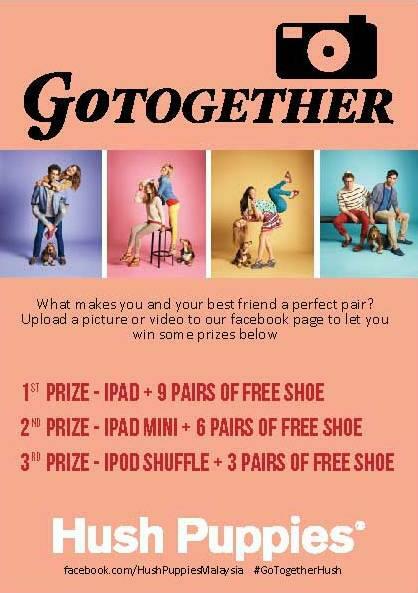 Home » instagram » photo » twitter » Hush Puppies Go Together Photo Contest ~ Win iPad, iPad Mini & iPod Shuffle! 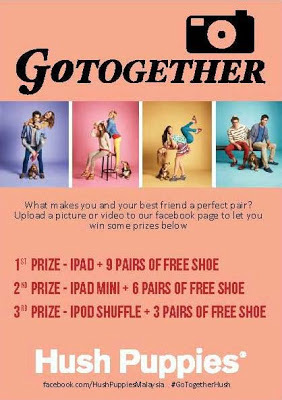 Hush Puppies Go Together Photo Contest ~ Win iPad, iPad Mini & iPod Shuffle! Upload a picture or video on "What makes you and your best friend a perfect pair?" Visit Hush Puppies Malaysia Facebook for more details. Check out also Hush Puppies Annual Warehouse Sale: Up to 70% + 5% OFF!